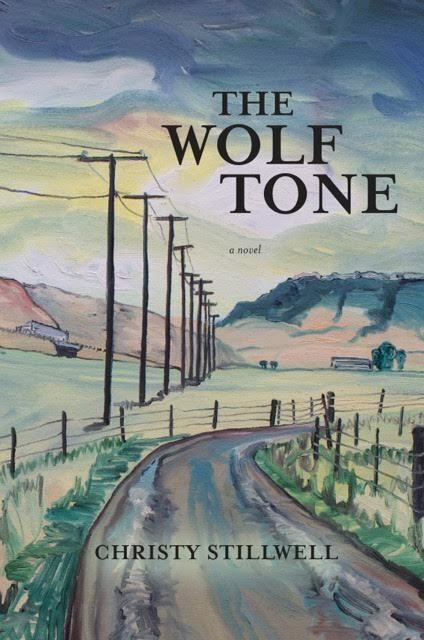 Set in the fictional college town of Deaton, Montana, The Wolf Tone centers around an unlikely friendship between two drastically different women. Margot Fickett is the middle-aged principal cellist for the Deaton Symphony Orchestra. Eva Baker is a twenty-year-old single mother who claims that her three-year-old boy is Margot’s grandson. Convinced of her son’s innocence, Margot insists on a paternity test. Before she complies, Eva leads Margot to her boyfriend’s burgeoning medical marijuana business, the reason she wants her child support money in the first place. Over the course of a tumultuous Montana spring, Margot and Eva witness one another’s difficult, often poorly thought-out decisions. As they approach real disaster, the women begin to see that what they want is not so different. Spring took its time. March in Deaton, Montana, was winter’s final exhale. Robins had been spotted and the creeks were beginning to melt, but the surrounding mountain ranges still slumbered under blankets of white. The night of her accident, a new moon held the canyon in complete dark and Margot Fickett couldn’t sleep. She’d rather play than eat. Margot sat up, pulling on a sweatshirt. Next to her, Andy didn’t budge. By the light from the hall she could see the dresser, its surface strewn with rings and bracelets, a performance program and her husband’s pocket trash: his phone, coins, a crumpled list, half a roll of breath mints. She crossed the hall to gaze at her son, home from Minnesota on break. He was too long for the mattress—his legs hung off almost to the knee. Astonishing, the absence of boy. As recently as the holidays, that eager look was still in his eye. In its place now was an assuredness, a kind of knowing, as if he’d been let in on a secret. He wasn’t coming home this summer, he had told them. He would rent a room in Minneapolis and work for his professor, who was recording a film soundtrack. Benji was twenty-one and had toured or attended summer festivals since he was fourteen. Margot was used to his absence, had even encouraged it. Yet for the first time, she didn’t know when she’d next see him. Movie music, according to Benji, was a new career path for string players like him. Also, music for computer games. You didn’t really need a degree anymore, he said. Under the lamp’s circle of light in the foyer, the telephone sat on the table in its tidy way next to the straight-back velvet chair. Over by the front door was a garbage bag full of the day’s trash. Tomorrow, someone would take it to the shed. Seized by a wish to feel the outside, Margot decided to take it now. Nobody could even tell, unless she wore the sling, which wasn’t required or even recommended due to the way it immobilized the elbow. When Benji was little, the thought of him falling down that hill haunted her. As it turned out, he rescued her. His bedroom window overlooked the slope. He heard her cry out. Benji went back to school. Andy’s bluegrass band, The Wilmas, started their tour. He put off joining them until after Margot had surgery. Seven screws and a plate raised her hopes for a full recovery. Andy loaded Margot’s favorite music on the iPod and rigged it to the stereo in the den. He stocked the house with groceries, brought her soup and crackers, rented movies with her until she finally insisted that he go. Seeing him bored was worse than being bored herself. Andy knew where to point the binoculars, but it took Margot several tries, scanning up and down the branches. When she finally landed on its huge yellow eyes, her hand jerked and she had to restart the process. The owl’s face was terrible, startling in its hostility, the feather horns like angled eyebrows and the vicious, hooked beak. The creature appeared outraged by the invasion of privacy. Its stillness was impressive. An immunity to loneliness. Hours, days, sitting on those eggs. It was a good thing human beings grew their young internally, Margot thought; if a nest were required, we’d never make it. The day after Andy’s departure, she received a phone call, making this officially the strangest month of her life. Margot was in the den hooked up to an automatic icing machine, listening to Beethoven’s Ninth. The Ninth was the orchestra’s season finale piece, one she’d rehearsed exhaustively since January. She was out, of course—not a chance she’d play before three months. Bernstein’s Berlin performance, from after the wall’s collapse, was the recording their maestro liked best, though he felt it was too long. Margot sat breathless after the first movement, that wild, leaping symphony in miniature. The section break was long, with no applause, only the sound of rustling clothing, crinkling paper, the ubiquitous cough. And a phone rang. Not in the recording but in Margot’s house. The odds! It rang again and still the music didn’t resume, as if everyone in that hall waited to hear who it might be. The answering machine picked up as the strings began their ecstatic tiptoeing. She hung up. The music rose to the surprising, boorish drum, then dropped back to its tiptoeing flutes. Sunlight spilled onto the carpet. The den was suddenly hot. I imagined that, Margot thought but the moment was ruined. She stopped the music with the remote and began the process of disconnecting from the icing machine, ripping open Velcro straps, detaching the hose. Standing on the warm tiles in the foyer, she stared at the pulsing red light on the answering machine. So it wasn’t a dream. She decided she’d better get dressed. He was a violin prodigy; he didn’t have dates. Following directions seemed like the right thing to do. Though there was sun in the canyon, winter’s inversion had socked the town in fog. Traffic was heavy and visibility was poor. She was driving Andy’s huge Suburban as her Honda was too low to the ground. She hit traffic and a flare of panic rose in her chest: she’d made a bad decision. The accident did this, she was certain. Not that the accident caused the phone call. She felt separate from reality, almost immune to peril, which couldn’t be good. But Margot did not turn around. Switching the heater off to keep herself cold and alert, she followed the directions coming from her phone. Dolly’s turned out to be one of several businesses in the Rock Creek Commons, a strip mall angled inside a moat of parking. Snaking around it was Rock Creek itself. Margot parked on the west side of the building where a thin stretch of woods stood between the creek and an auto parts store. Dolly’s was at the front, facing Randolph Avenue. An antler arch encased the entrance, hundreds of deer antlers wired together to create an arbor around ordinary glass doors. Inside the vestibule, the sounds of the busy street vanished as though she’d been swallowed. Through the next set of doors Margot found herself inside a warehouse, a mix of clothing store, furniture store, and haunted house. Old panel doors hung on the walls from industrial sized chains. Boudoirs and antique sideboards were set up among rack after rack of used clothing. The displays were not stalls, exactly, but more like sets, little slices of life. A miniaturist might be behind it all. The smell was of thrift store and furniture polish. Most surreal was the ceiling. The exposed ductwork peeked through a vast webbing of charcoal grey fabric that draped several feet and slowly swayed. It darkened the room and its movement made the ceiling feel close and alive, as if she were looking up from underwater. Margot jumped, sending a jolt of pain through her collarbone. She cried out and alarm widened the boy’s great blue eyes. A woman emerged from a side room, short, with bleached hair cut severely at the jawline. She wore a low-cut dress and knee-high boots. Margot knew immediately that this was her caller. The look matched the voice, a girl trying to disguise her youth. “A giant!” cried the little boy, pointing. Margot stared at the girl’s hand, then down at her own, peeking out of the sling. “Never,” Eva said, raising her chin. Her neckline was low enough to reveal the edge of a chest tattoo, the tip of a wing. “You said it concerned my son?” Margot asked. The white noise became a howl. On the ceiling above, the banners moved with a faint creaking sound. They were not made of fabric but paper. Miles of it, stencil cut like Mexican papel picado, in intricate, unrecognizable shapes. Impossible to mass produce something like that; it had to have been hand cut, a detail that matched the carefully placed fringed lamps, lace pillows and rows of colored glass bottles. All of this came from the same mind. The boy stuck his head out from under the dresses, grinning. He stepped out and stood in front of his mother, asking for something Margot couldn’t make out. Eva reached into a pocket and handed it to him. He turned to show her. It was a pack of gum. Eva’s chin lowered a fraction and she gave a little snort like she’d said something clever. She shifted her weight and her small hand came to rest on the counter. For all her nervous yammering, Eva displayed an astonishing patience. Her gaze grew heavy. She squared her shoulders. Among her eleven cello students, Margot was known to be demanding. She was quiet and watchful as they composed themselves, exactly as Eva was watching her now. This turning of the tables was uncanny. For the briefest moment, Margot believed the scene was a narcotic delusion; she’d been left alone in the canyon too long. Terribly hot, she wished she could shuck off the jacket wrapped over her shoulder. And how was it she couldn’t remember the drive to town, all those curves through the canyon, the stop sign at the highway, passing under the interstate? Later, tearing out of the parking lot, Margot couldn’t recall exact words, only her own scalding voice. Fragments surfaced. Now you listen to me, she may have said, her tone identical to her beloved but frightening grandmother. There might have been finger pointing. Regrettable, all of it. Some kind of mix-up. Eva had the wrong boy. Margot may have suggested as much, for Eva mentioned The Wilmas, Andy’s band. So what? That proved nothing. Type the name ‘Fickett’ in Google and anybody could come up with The Wilmas. Christy Stillwell earned a BA in English at the University of Georgia before moving west, first to Wyoming, then Montana. She taught college freshman, tutored adults in writing skills, clerked in bookstores and edited manuscripts, college essays, textbooks and artist statements. She holds an MA in Literature from the University of Wyoming, and an MFA from the Warren Wilson College Program for Writers. Finishing Line Press published her chapbook of poetry, Amnesia, in 2008. Poems, short fiction and essays have appeared in journals such as Pearl, River City, Sonora Review, Sou’wester, The Massachusetts Review, literarymama.com, and The Tishman Review. She has been honored with a residency at Vermont Studio Center and a Wyoming Arts Council Literary Fellowship. Her work has been nominated for a Pushcart Prize and was a finalist in the Glimmer Train Short Story Contest. Her debut novel, The Wolf Tone, won the Elixir Press Fiction Prize and will be published in January 2019. She lives with her family in Bozeman, Montana.